While other membership shopping companies have come and go (including Makro, which is now absorbed by SM), S&R remains popular amongst shoppers looking to get discounted prices for various items in exchange for membership. 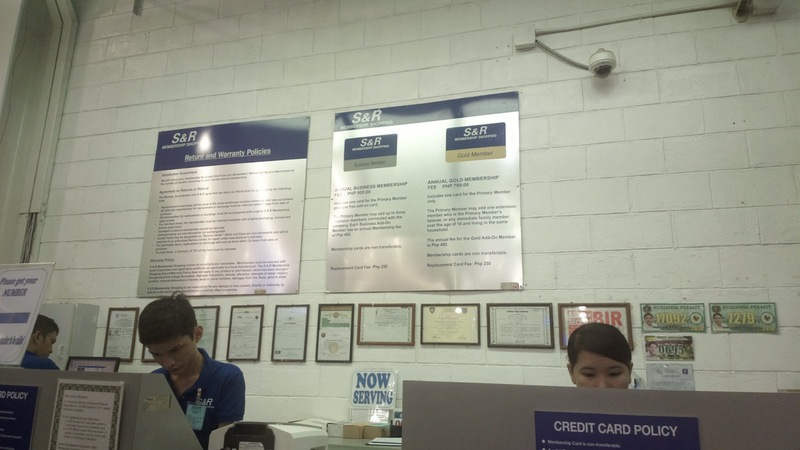 My husband, who used to work in the Aseana One building, which is close to S&R Baclaran, talks about this membership shopping place as if it’s a hero. His former workmates are members and shop for goodies including chocolate a lot. Some of them offered to add him as an extension but he got away with asking them to buy him a burger using their member card instead. But he wanted us to join and he would often urge me to drop by whenever we drove past the area with the building signage seen even from Pasay. So one lazy Sunday, we did. The parking area was jam packed like most malls during Sunday. There was also a shortage of trolleys at that time. As for the fee, it’s free for the first 2 hours with 40 pesos an hour charge for the succeeding hours. Membership processing is fast. The card was released within minutes after completing the form and paying 700 pesos. An extension card, should you want to add, costs 400 pesos. However, activation for the card takes 24 hours so you will have to use the temporary pass until your card becomes active for future use. 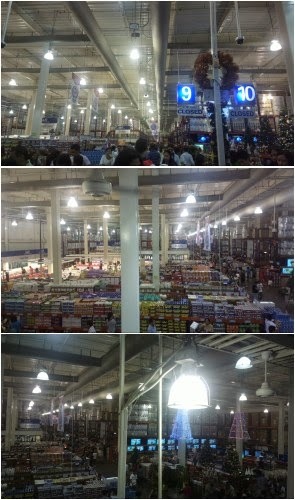 Walking around, the warehouse looked like any other supermarket or grocery store. You would find the usual products with the addition of kitchen appliances and tire goods. Local brands are available but in servings and sizes that are enormous and you won’t find anywhere else. There are also countless imported brands that are similarly not usually seen in most grocery stores. The local brands in larger sizes such as detergent powders, fabric softeners, dishwashing gels, and more are noticeable cheaper than what you see in most stores. Some imported brands which I originally thought would be expensive are actually unbelievably very affordable (for selected items). Can you imagine a 3 kg of detergent for 200 pesos? I did find one and it’s an Indonesian brand. Most of the other items I excitedly dropped on my cart are also household products like laundry and cleaning products in large but affordable prices. The baked goods section will blow you away too. Pies and cakes are a steal. Some are even offered at buy one take one. The chocolates area is a paradise. I only got one for my daughter though, this box with 6 items of Kinder Joy. With low prices and products not normally seen in non-membership centers, I’m guessing that this is where online sellers purchase wholesale chocolate as well as other products for local resale over the web. As for me, I’m contented to bring home a buy one take one promo of Nature Made’s fish oil. 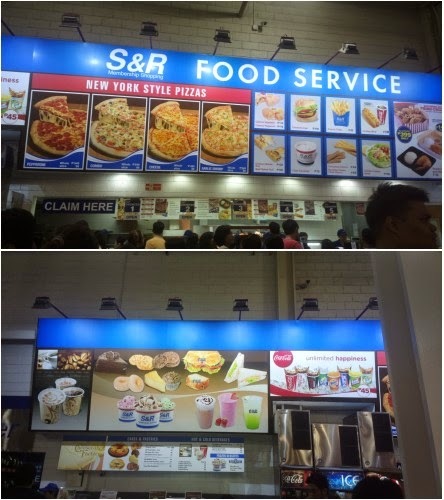 The food counter serves nothing but big food including pizza and burger. There are unlimited drinks as well. As for me, being a seafood lover, I enjoyed the clam soup a lot. I was hoping to sample the ice cream and cakes in the other side of the counter but I was too full to eat anymore. There are numerous tables and chairs available below and on an extension above but it was filled with shoppers that Sunday. Like the supermarket and grocery area, the food counter is also for members only. 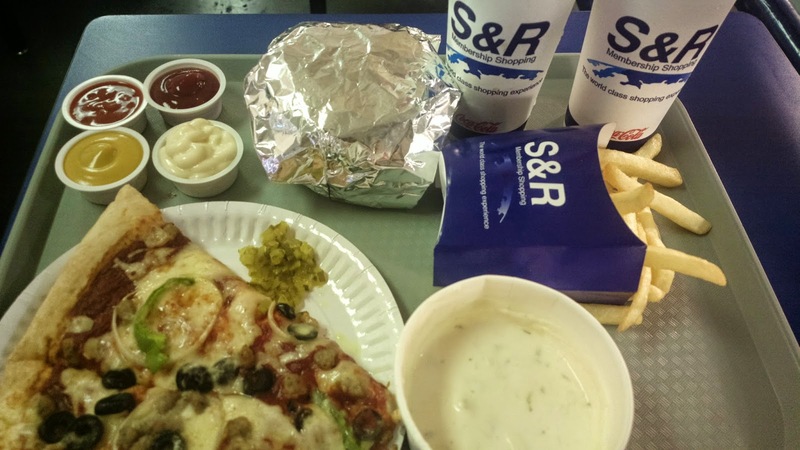 If you’re looking for discounted prices in local and imported goods in large sizes, be a member of S&R membership shopping. For more information, see their website www.snrshopping.com or their Facebook page.